Today is one of those nasty weather days where you just want to crawl back into bed and sleep until the darkness brightens and the temperature rises. I am not a fan of cold, drizzling rain. It dampers my Pollyanna spirit! 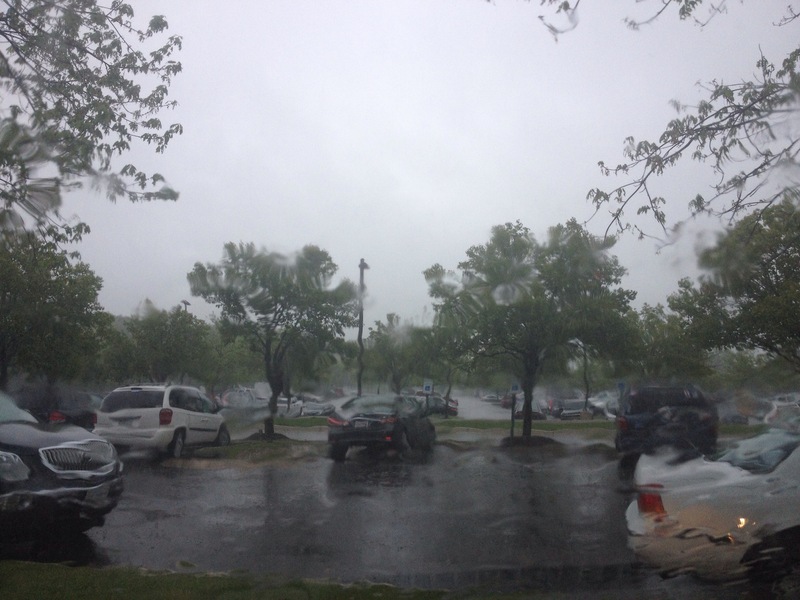 Thankfully, the rain wasn’t severe enough to spark deadly storms like the ones causing devastation in the Midwest, but it was still dreary just the same. After a long day at work, I was more than ready to head home and spend some time relaxing with my kiddos, but I knew I had an evening meeting to attend across town. I had plenty of work to keep me busy, and as I pulled out papers for one of my many projects, I had an urge to check Facebook. Now I know many of you might laugh, but I take these moments seriously because more often than not when I have one of “those feelings”, I discover through the amazing venue of social media a need, a request for prayer, a timely question… and today was no exception! My Facebook feed showed most recent posts and there, right at the top, was a request for prayer for a dear friend’s wife who was admitted to the hospital today for breathing problems. I stopped what I was doing. Said a prayer for healing, then packed up my project. My work here was done – I was needed elsewhere! 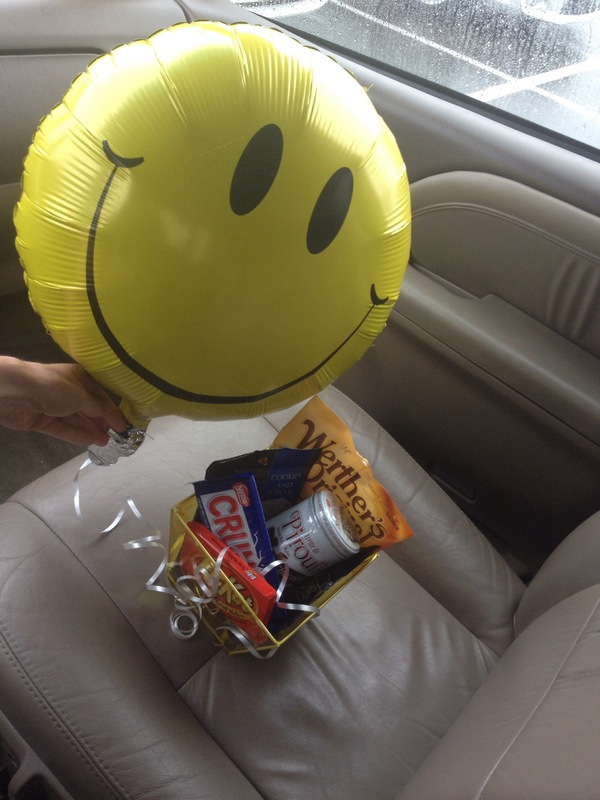 I quickly drove to the local Dollar Tree and purchased a smiley faced balloon (yes, just like the one in Sunday’s blog post) along with a small container and all the chocolate I could find. I was headed to the hospital to visit my friend. Two floors up and a few feet down the hall, I knocked on the hospital door and was welcomed by the sweetest smile you’ve ever seen. Now, I haven’t seen my friend, Cristie, in quite a bit of time, but all that distance was erased the moment our eyes met. Oh the joy!! We spent the next hour catching up, trading stories and doing a LOT of laughing. Cristie has such a genuine spirit and she is so funny, I wasn’t sure who was lifting up whom. 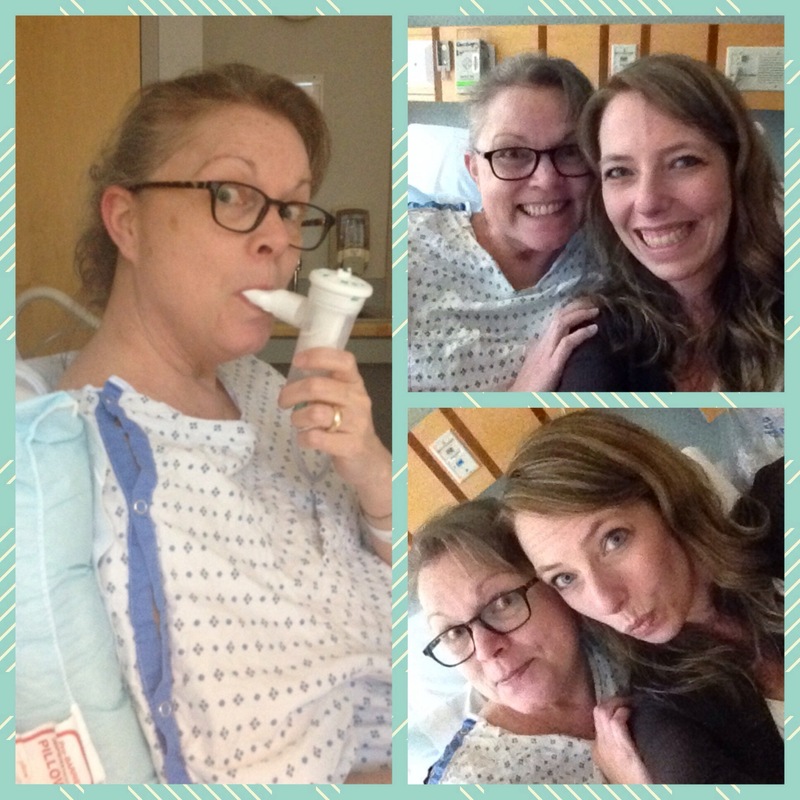 Even as she was taking her breathing treatment, she was making jokes. “Listen to me… I sound like Darth Vader… Luke… I. Am. Your. Father.” It was hysterical! After a few photos to document our fun, it was time to head to my meeting. As I gave Cristie a final hug goodbye, I said a silent prayer for the joy in treasured friendships. What a way to brighten BOTH our days! The next time you read about someone you know being in the hospital, think how wonderful it would be to carve out time in your busy day to spread a little joy with an unexpected visit. You might be surprised to find how happy it will make you, too!